Cape Town – The Volkswagen Golf GTI celebrated its 40th anniversary earlier in 2016. It all began in 1976 when only 5000 units of the GTI were planned. Four decades alter, more than two million (over 62 000 in South Africa) have been sold worldwide. 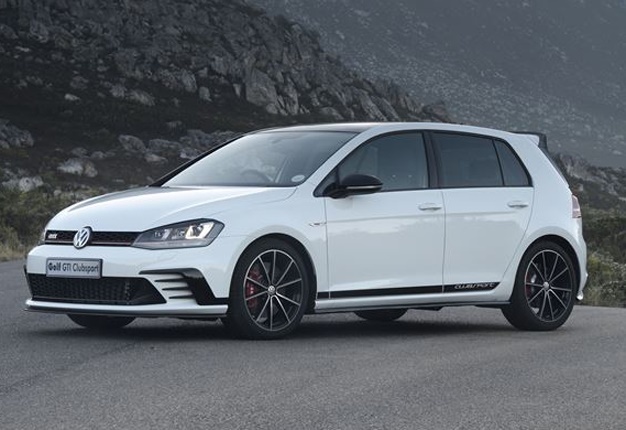 To mark its 40th anniversary, Volkswagen launched a special edition: the Golf GTI Clubsport – the most powerful front-wheel drive GTI yet. The new GTI Clubsport will be launched in SA on July 1 2016. Wheels24’s Janine Van der Post will be attending the local launch in Cape Town. Look out for her driving impressions next week. The DSG-only model Clubsport will cost R540 200. The turbocharged direct-injection engine of the Clubsport develops 195kW/350Nm. Drivers can increase engine power to 213kW/380Nm using a boost function. The end-result is a 0-100km/h time of 5.9 seconds and a top speed of 249km/h. The boost function is available in gears three through six, provided that the ‘Sport’ driving profile is active; which can be engaged by shifting the gear lever to the ‘S’ mode. The GTI Clubsport channels its power to the front wheels via a six-speed DSG gearbox. The front differential lock integrated in the GTI Clubsport has a variable degree of locking and comprehensively integrates with the electronic driving aids. VW says the diff-lock aids the car by improving power transfer to the road. Optional Dynamic Chassis Control (DCC) is also available and is said to make the car’s handling characteristics more responsive. The car is characterised by an entirely new front bumper, side sills, rear diffuser, multi-part roof spoiler, and exclusive forged alloy wheels.